Narcolepsy And Sleep Apnea: Can You Have One When You Have The Other? While both narcolepsy and sleep apnea belong to the genre of disabling sleep disorders, though having different origins and causes of onset, the one common binding factor that ties the two together is excessive daytime sleepiness, also called EDS. Incidentally, excessive daytime lethargy is the outcome of most sleep disorders whether they breathing-related (like sleep apnea) or not. It is possible that an individual may suffer from both, but how frequently this happens or how the combination clinically manifests is not known yet. But what is known is that sleep apnea may interrupt with narcolepsy diagnosis. 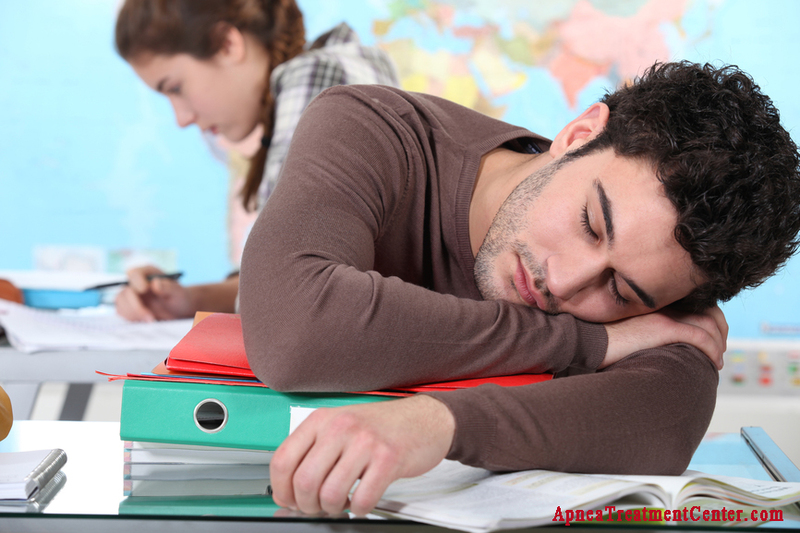 It not only delays the evaluation of narcolepsy but also interrupts treatment initiatives. It is also known that the deployment of CPAP (Continuous Positive Air Pressure) therapy with a narcolepsy patient has no effect on daytime sleepiness, when he or she is also affected by sleep apnea. Before we elaborate on the two important illnesses, we need to know a bit more about the link that connects them, that is, excessive daytime sleepiness. 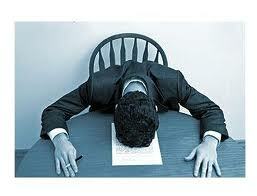 Many of us are unde r the false impression that feeling excessively sleepy is a lifestyle disease. 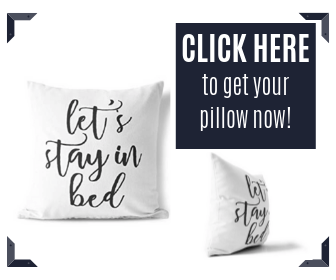 Even when we hear that it is an extremely common sleep disorder which actually affects nearly 20% of adult population in this country, we still maintain our original stance of blaming it on current social habits, etc. This brings us to a very interesting topic: when are you tired and when are you sleepy? We use the two terms ‘tired’ and ‘sleepy’ rather loosely and when we make this mistake in front of the doctor, chances are that our condition may be misdiagnosed. We need to be clear that when we say we are tired, we mean that we do not have adequate energy to pull through the day and have problems in concentration, etc. But when we say we are sleepy, we ought to signify that we are dropping off to sleep no matter which place and what time it is and have problems in keeping wake even during conversations, meals, etc. What we feel during the day could be the key indicator of our illness and help the doctor to arrive at the right diagnosis. For example, an insomniac could feel tired the whole day but may not go off to sleep. A patient of sleep apnea and narcolepsy would also feel terribly lethargic but even then they are trying their best to ward off sleep. This is the reason why glorifying excessive daytime sleepiness to the doctor may lead to misdiagnosis or the condition not being diagnosed at all. As far as sleep apnea is concerned, undiagnosed conditions can have life-threatening consequences including heart failure, etc. Amongst the several factors that cause excessive sleepiness during the day two most important disease conditions are narcolepsy and sleep apnea followed by certain sleep medications and mental conditions. How to quantify excessive sleepiness? 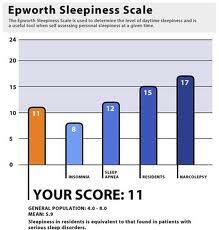 For this doctors rely o n two tests: the Epworth Sleepiness Scale and The Multiple Sleep Latency Test (MSLT). The Epworth Sleepiness scale is a tool that subjectively measures sleepiness on a scale of 0 to 3 during several types of occasions like viewing television, etc. A score which is higher than 10 is marked as excessive sleepiness. This is one of the tests recommended for diagnosing a number of sleep disorders including narcolepsy, etc. The MSLT along with the Maintenance of Wakefulness Test (MWT) are used to measure sleep latency (time taken to fall off to sleep) as well as sleep onset rapid eye movement sleep periods (SOREMPS), again recommended for evaluating narcolepsy. To understand what and why the differences are between the two illnesses, we need to brush up our knowledge about what these conditions are. Narcolepsy is an outcome of dysfunction of the nervous system. It happens when the brain is no longer able to monitor the sleep-wake cycles. This seemingly harmless sleep disorder can completely put life out of gear because of its typical and also characteristic symptoms. 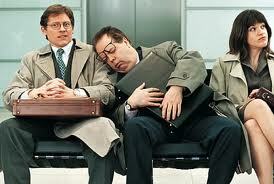 Currently affecting close to 200,000 adult Americans, narcolepsy sets in early (between 10and 25 years of age). Excessive sleepiness during the day is the most prominent sign of this illness which 90% patients report. This is followed by a condition called cataplexy, which involves sudden weakness of the muscles. Cataplexy is treated as one of the most identifiable signs of narcolepsy that helps clinicians diagnose the ailment. Hallucinations and sleep paralysis are two other symptoms of this sleep disorder where the patient might have hallucinogenic dreams or nightmares during sleep onset or on awakening; or when the patient is having sleep paralysis, he or she is incapacitated to move just after sleep or during sleep onset. Of all the above signs, only 25% display all of the signs. An important point to note regarding narcolepsy is that the signs seem to worsen during 20 to 30 years after the first symptoms were apparent. Paucity of a brain chemical called hypocretin or orexin in the spine is considered to be a primary reason for anyone to develop this condition. Genetic factors, certain types of infction, disorders of the auto immune system, hormonal imbalances, and stress are other possible factors for the onset of the condition. This is a breathi ng-related sleep disorder the origin of which can be traced to narrowing and collapse of the upper airway tract. Repeated breathing pauses, also called apnea episodes, where one pause can last for 10 seconds or more are hallmark signs of this illness. Symptoms include loud and persistent snoring, restless in bed, choking and gasping during sleep, unexpected weight increase and more. This ailment sets in around 50 years of age and common with obese males. Likely triggers for onset of sleep apnea include obesity, excess alcohol consumption, blockage in the airway, etc. In which ways do these illnesses differ? Though there is no apparent relationship that exists between narcolepsy and sleep apnea, there is also a distinct possibility that an individual is affected by multiple sleep disorders at the same time. Since sleep apnea is a disorder which has a high rate of prevalence, an apnea patient can develop narcolepsy symptoms, though it is a comparatively rarer ailment. You do realize there is more than one kind of sleep apnea, right? Why no mention of Central Sleep Apnea? Does that include Central Sleep Apnea? Could a person who is so sleep-deprived because of sleep apnea develop narcolepsy and actually fall ASLEEP (not just being tired) during his or her normal awake times? Can using a CPAPA machine aide a person that has narcolepsy or impoverished their narcolepsy. I am one of the rare ones that has sleep apnea and narcolepsy. Recently, the rim on my CPAP mask broke so I’ve gone almost a week without it. As a result, I’ve had sleep apnea signs occur like snoring, choking, and inability to breath for a short second. But what’s unusual is my narcoleptic symptoms have also surfaced. I was drinking tea suddenly I woke to find the cup and it’s contents in the floor. So could u please answer this question. I know this is a long text, & I apologize but I have one more question. Does eating or excessive eating/hunger have anything to do with narcolepsy? Thank-u for u’re patience and I pray u get back to me. Like you, I have narcolepsy and sleep apnea. A cpap does nothing for narcolepsy. I was diagnosed with narcolepsy 14 years before I was diagnosed with sleep apnea. Medication is required for narcolepsy, and a cpap for sleep apnea. Do not be mislead any other way. Narcolepsy is when the brain Does Not send a signal telling you to stay awake, sleep apnea is when the brain does not send a signal that tells you to keep Breathing. There is a difference between the two. This is Crystal…..I just left the last message. I wanted to correct one of the sentences. I meant to say: Can using a CPAP machine aide a person that has narcolepsy or improve their narcolepsy?